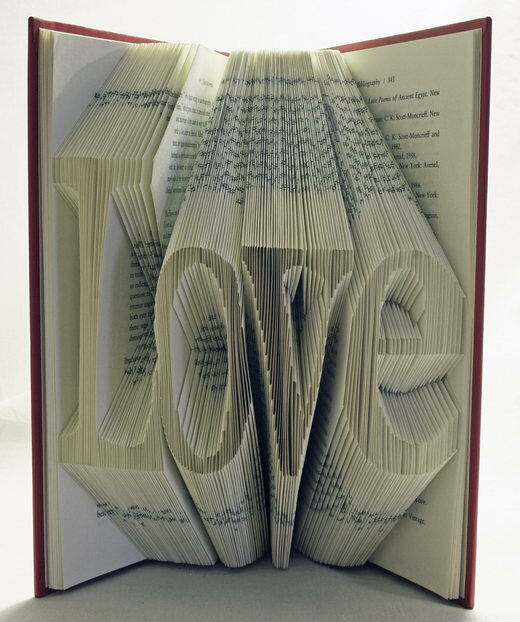 We have featured several post about book sculpture (book art1, book art2 and book art3) in our site which got heated discussion. 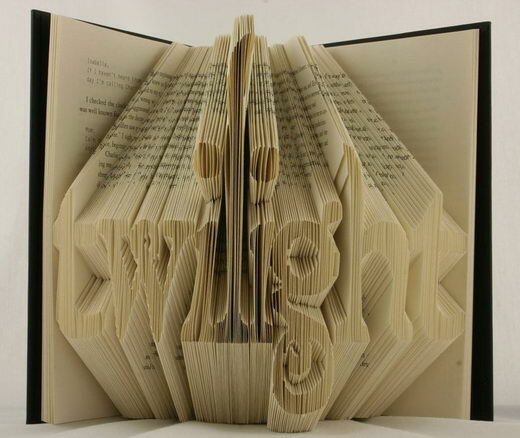 We are amazed by the art itself but feel guilty for those curved book. 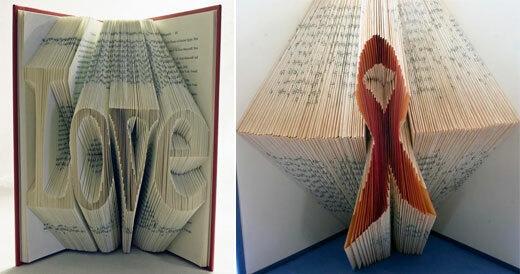 In today’s post, we will present you a whole new different style of book art, which transformed books into eye-popping literature – literally. 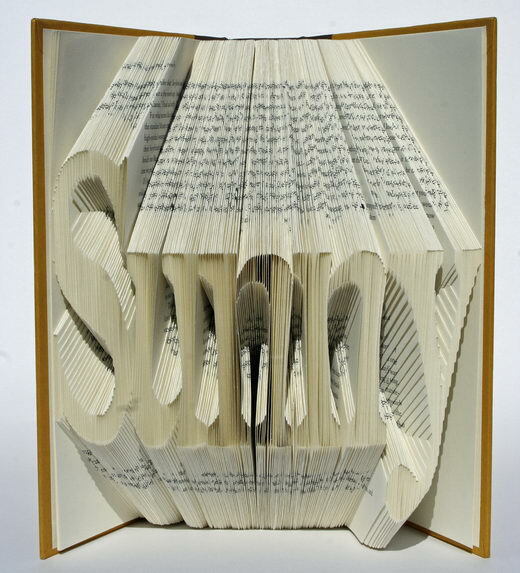 Issac Salazar, the creative artist, creates typographic images by precisely folding individual pages in books, which is truly amazing. 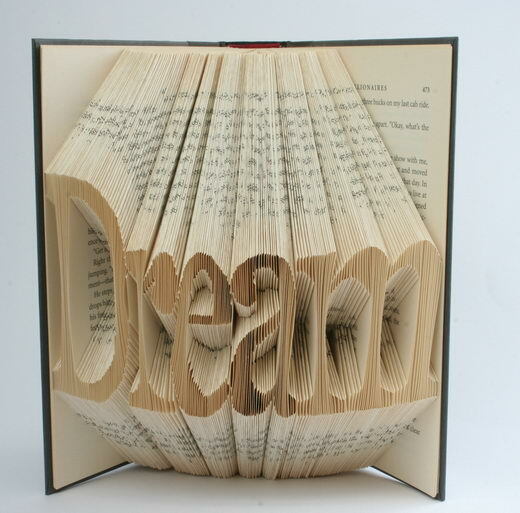 These carved and folded books of art are gratifying. I work a lot of used book sales and it is amazing the amount of books we can’t even give away. 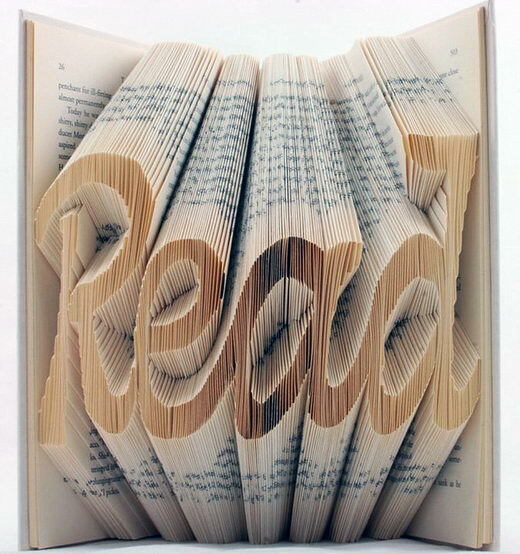 It is also intereting the amount of books that get donated to us by people that no longer want them, but expect us to do something wonderful with them. Hah. Now I have an answer. 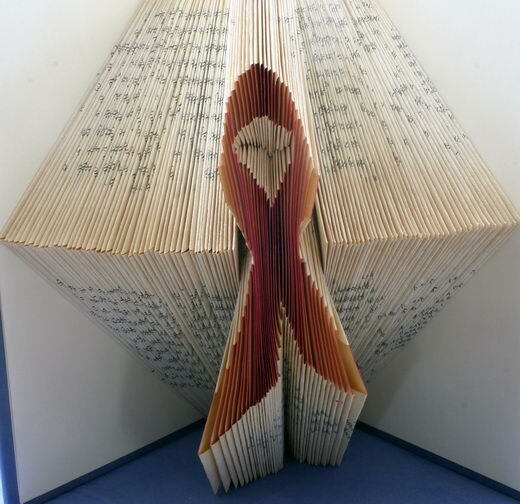 I would rather try to make art out of them than send the abandonded books to the dump or a paper recycler (even they won’t always take them because the paper is bound up in the – hey – binding. 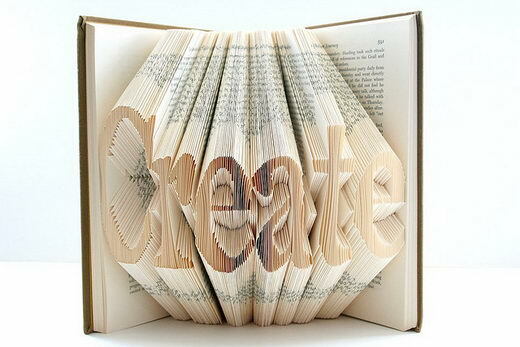 Thank you so very much for featuring these creative souls. 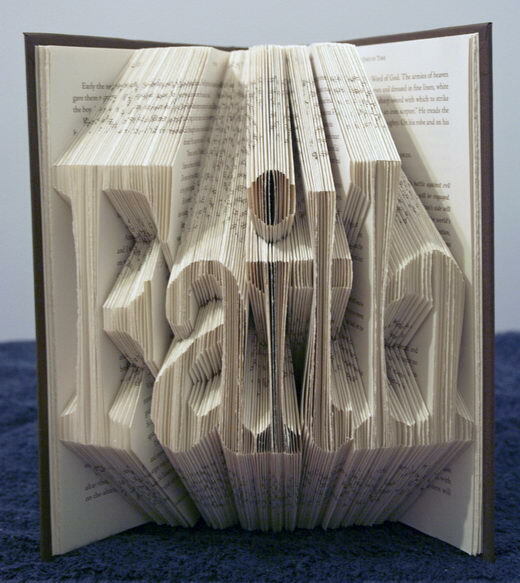 WOW amazing works, I know it taken for long time to folding. Is there any shown picture of HOPE and JOY? I don’t think there are picture of Hope and Joy right now.. These works were created by Issac Salazar. We don’t know whether you can buy it or not. Please contact the artists directly.